Today, I'm reflecting on the uncounted contributions made by the team of APhA staffers who have been pulling hard the last few months, and who on July 4th took a break. It was great to see so many of them here to celebrate with their families and to connect those families with those of their co-workers. I feel blessed to be part of their team. 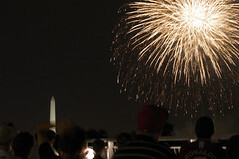 APhA is observing the Independence Day holiday today, July 6th, and the offices are closed. We'll be back in the office tomorrow.